5ft Love letters (ground floor delivery) £250. upstairs + £50. 1ft tall black plinths for 4ft giant letters or numbers £10 each. 4ft tall numbers £100 (for two numbers). 4ft tall letters £150 (for two letters and the & symbol). Larger numbers of letters combinations P.O.A. 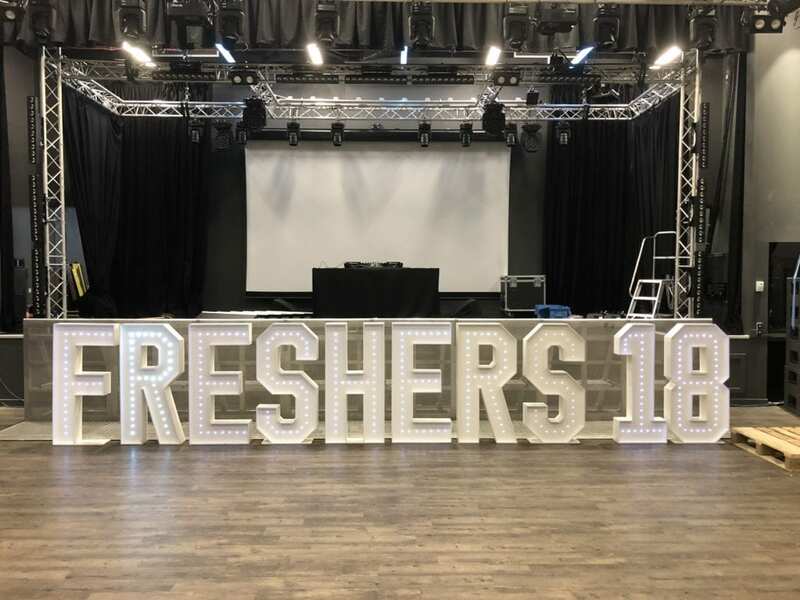 My 4ft tall giant letters supplied to St Andrews University for Freshers 18 week. 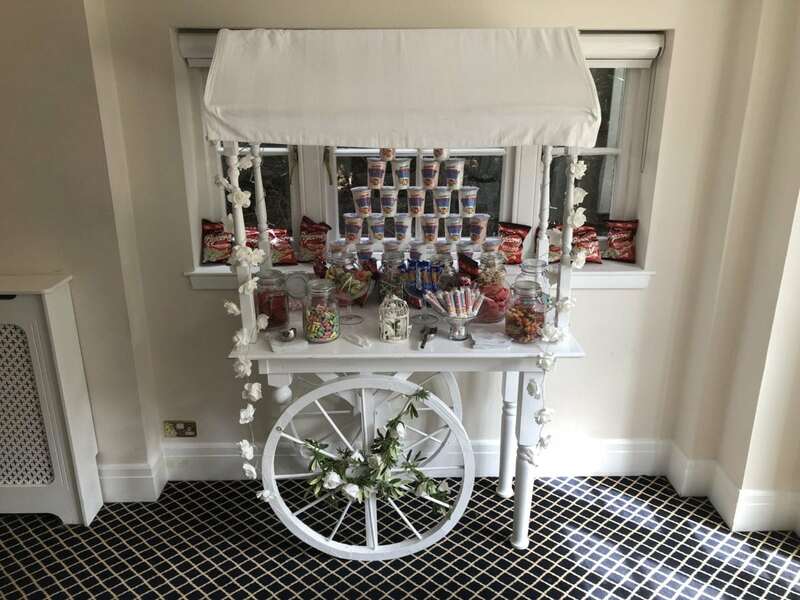 Decorated Candy Cart with 15 jars of sweets £150. Photo booth with unlimited 6×9 inch prints, props, supervisor and photo album. My photo booth at The Peregrine Suite in Aviemore. 12 Wireless mood lights £200 (£100 if taken with our disco). Gobo projector and custom gobo £100 (if taken with our disco). £150 as a stand-alone hire. 1. 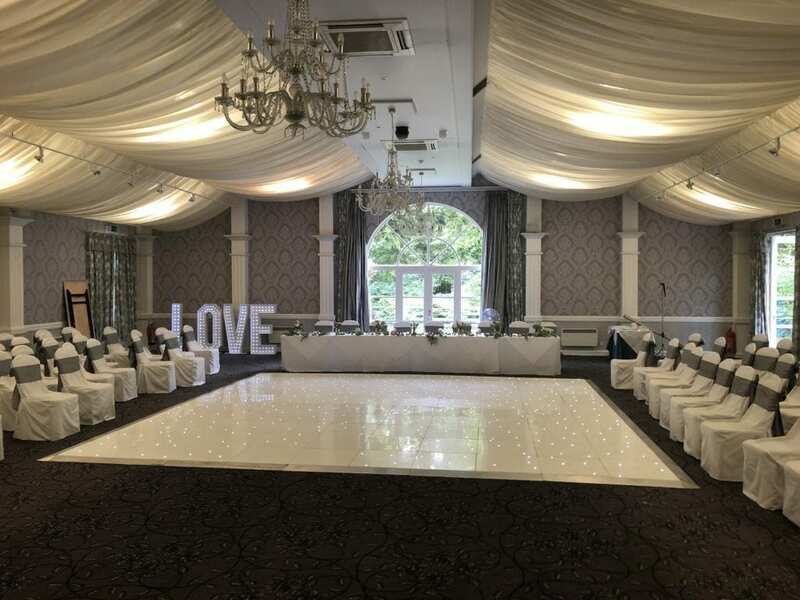 Hire our white led dance floor, Photobooth or disco and get any giant letters or heart arch half price. 2. 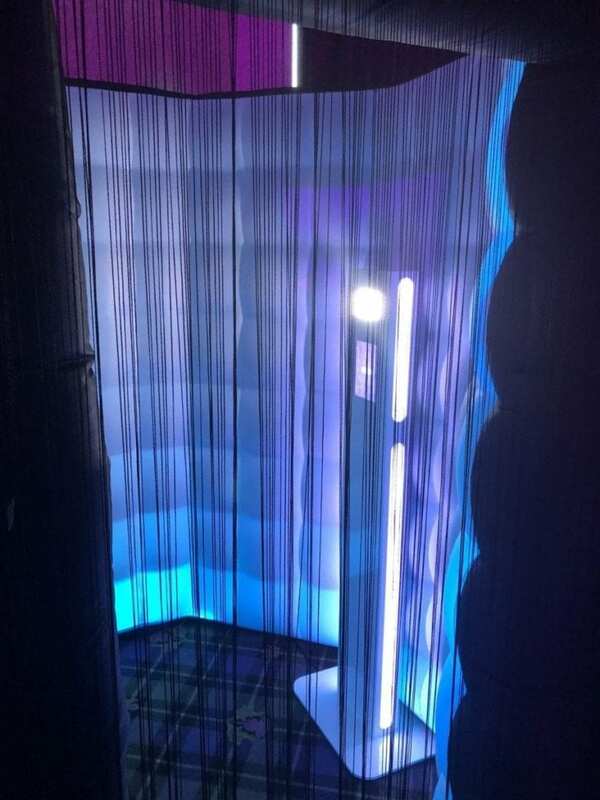 The £995 deal: 5 hour disco, 2 hour Photobooth hire, 12 wireless mood lights and a 16ft by 16ft white led dance floor. 3. The choose 5 for £500 decor deal. Choose any 5 items from: 4ft love letters, 4ft Mr & Mrs letters, Candy Cart, White or black backdrop, Ferrero Rocher seating plan, wireless mood lighting, 2 giant numbers or 2 initials and the & symbol, UV lighting, smoke, snow machine, bubbles, UV bubbles, haze, dry ice machine, gobo projector and custom gobo, additional one hour Photobooth hire, 7ft heart arch, UV lighting, post box, red carpet runner, 4 queue barriers and 2 ropes. Disco add ons: All these items below are only available when you hire either a dance floor, photo booth or disco from us. Special effects: snow, haze, smoke, low smoke, bubbles, UV bubbles £30 each. (only if taken with our disco). UV lighting £50 for two ultra bright cob cannons (only if taken with our disco). 4 gobo projectors including either Halloween or Christmas gobos £100 (only if taken with our disco). Projector and 10ft screen hire: £150. Red carpet runner £50 (only if taken with our disco). White post boxes £30 each. 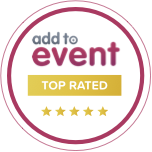 Mobile disco prices: within 1.5 hours drive of Edinburgh. Outwith this area an additional mileage charge may apply. Call me on 07472 287 151 for a price. 5 hour wedding silver package disco black or white theme £450 (Friday and Saturday) Sunday to Thursday discounts available P.O.A. Additional hour for disco £50 per hour until midnight after that £100 per hour or part thereof. All day wedding package including ceremony music, microphones for speeches, background music during your meal and evening reception £1,000.